I am the queen of the techno challenged.I found this printer extremely easy to install and use.I am ordering my 3rd one.I originally purchased one for myself, then one for my daughter and now one for my new showroom.I am a kitchen designer and use it to print up my CAD designs as well as my before and after pictures.I must admit that I haven't used the machine to its full potential, but for what I have done it is super.One of the things I like the most is the individual ink cartridges.Some colors I use fairly quickly and would have to replace all of the colors in other units instead of just the ones I need.This is a major cost savings.I can not give this a higher rating.If you want a machine that is easy to install and use, with lots of versitility...this one is for you! 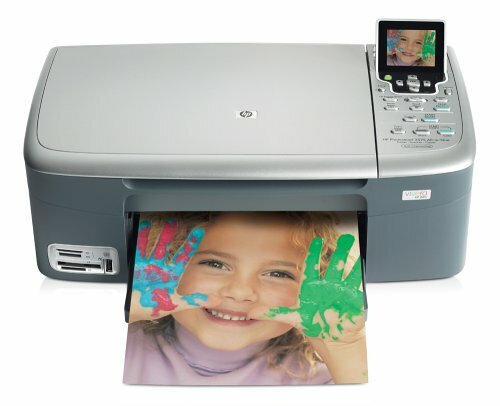 I bought the HP Photosmart 3210 about 6 months ago. The print quality, scanning function, and copy funtion all passed with flying colors.However, those qualities come second to actually having the printer function as expected.I too started having a paper feed problem (as you can see from many, many of the reviews).I am now on my THIRD replacement (remanufactured) printer...and still having the same "out of paper" error when the paper tray is full. It takes me about 30-90 seconds to print one page, if the printer decides to accept the paper you put in the paper tray.I have come to the conclusion that the HP front loading paper technology has some apparent flaws.I just gave up on getting the FOURTH replacement printer offered by HP and bought a comparable Epson.I am sticking with the top-loading paper technology that I know actually works. 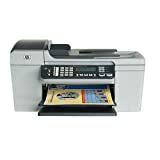 I bought the HP3210 to replace an HP all-in-one printer-scanner-copier-fax that died after only 2 years.The scanner head on my orignal printer would hang up and "click" on startup - an issue I have since read is not uncommon with that particular model.After numerous calls with HP support, they offered me the typical sell for an exchanged reconditioned unit, but I wan't interested in buying someone else's broken printer, so I decided to bite the bullet and purchase a new one.I had been really happy with the print quality of my first HP, so I decided to give them another chance. This printer is SO frustrating. I've been fighting the error "out of paper" for several weeks. Office Depot told me i needed to clean the rollers. Seems to be a common problem. 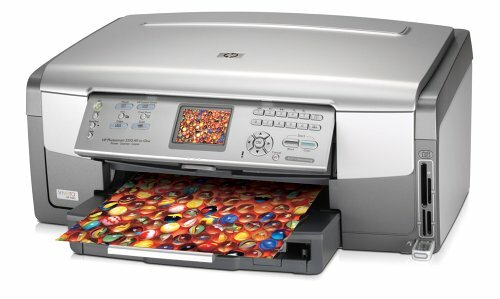 Don't buy this printer. 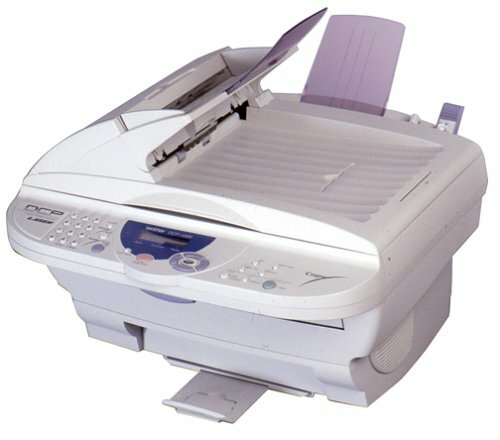 This printer works great!I have not had any problems with this printer.Text and photos are excellent quality.Copies and scans are good.I really like the ability to copy, scan and fax without having to turn on my computer. Canon no longer offers this so you are either buying one that has been on the shelf for awhile, a refurbished one or a used one. We have had one already and this is as good, as brand new one or even better.Thank you so much. 12.20lbs (LxWxH) 20.00"x 17.32"x 16.90"
PLEASE this is a warning! 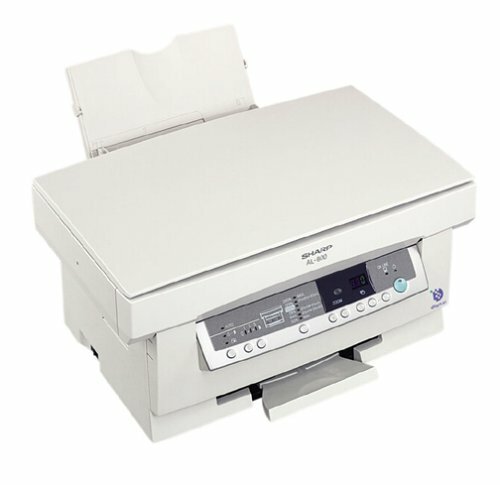 Do not buy this printer!!! Avoid at all costs!! HP tech support is useless and clueless. I had it for 3 days when it started jamming 100% of the time. PLUS, as a graphic designer I need my output to be tru to scale, this junk prints a 4 inch square as a 4.125 inch square! It does NOTHING good, plus it ran out of color ink after 40 pages!! I've had one of these printers for 6 months, and the paper feed problems have grown to the point where nothing will print without jams, feeding problems and more grey hairs.I spent 30 minutes online with HP's chat technician which were utterly worthless, and decided to return this today and get a new and different printer.I've had many printers in the past, and always been very happy with HP products before, but this one has been a disastor.There is apparently a paper feeder cleaning kit that HP will send that may or may not fix the problem, but after 30 minutes of trying to get the tech to send me one, I have given up on it!I have tried two different brands of good quality paper, and had the same problems with both.Buyer beware! This printer is awful. I have researched complaints about the 2575 and found tons of consumers with the same paper feed/jam problems. Not only does it take forever getting something printed because of the thing not grabbing the paper, but once it finally decides to feed it chews it up, causing almost half of the pages to be ruined. Great, more money for hp- paper. We are a small business and use the AL-1631 for small internal copy jobs (less than 20 pages) 1-4 times a week. We purchased this copier because our old Canon's document feeder died. 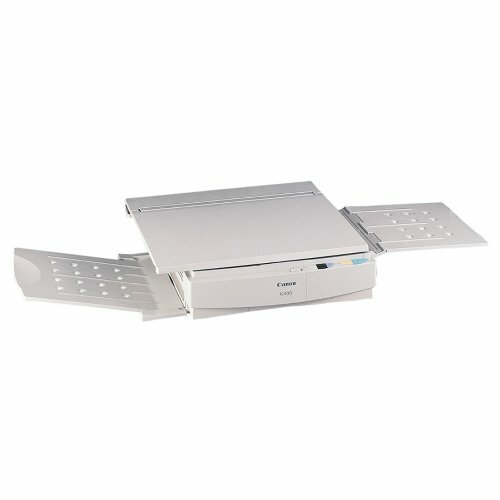 Just got off the phone with Sharp.Have had a Sharp AL-1551CS for 2 years.Worked great then the Automatic Document Feeder broke.Called and asked if I could buy a new ADF.No way.For $275 plus shipping they will send me a refurbished copier but they do not release parts to the public.Guess I am now a loyal Sony or Canon cusotmer. Machine is slow to warm up:at least 30-40 seconds for first copy. 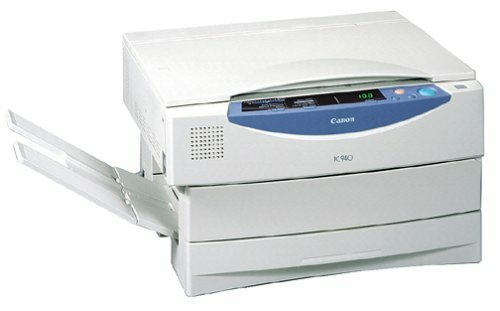 Canon is one of the reputable companies in copier business. This product is compact, very reliable, and easy to operate. It's good for home office. The contrast adjustment button allows you to optimize the output copies. The starter toner cartridge yields about 1000 copies. Cost of copy less than 5 cents each. 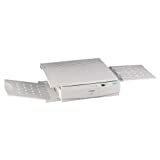 Paper Feeding 50-sheet tray, 4.1 x 5.9 - 8.5 x 11 / Paper Weight - 17 to 32 lb. 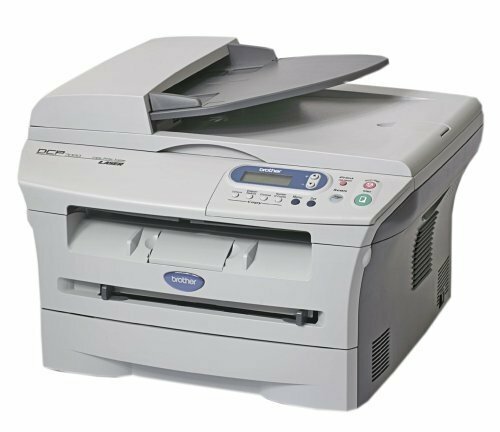 If you need a copier THIS is the one to get! I thought they stopped making stuff like this.Simple and easy to use, and great photocopy results.Go for it. After fighting for several years with all in one printer/fax/copier machines, I decided to buy seperate components to do these specific jobs. 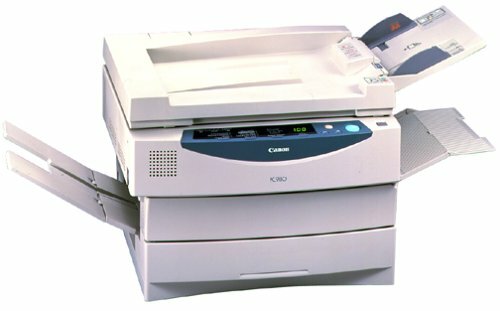 The Canon PC430 was my choice as a copier and I amd very pleased with it. I does it's job very well for small business use with small to moderate copy jobs. It's a simple machine and compact enough to fit on the desktop. The set up is easy. The copies are perfect reproductions of the originals. No frills just does the job it's designed to do. I received the PC 140 copier in good time and am enjoying it.The toner cartridge was not very good however, but I've ordered a new one.It was too soft, not good blacks. Looked all around for reviews on this item, and was surprised to find nothing. I have had several Canon copiers over the years. Stay away from this turkey!!!!!! You can read all the reviews for all the other printers & compare the features or you can make the decision easy by getting this super value printer/copy/scanner & enjoy its printing quality within 12 minutes of opening the box. Have had mine for about 3 years.(... )It also came with s starter toner cartridge.Copies as soon as you turn it on, no warm up necessary.Copies come out very well. This product sold in retail stores contains a starter printer cartrige. The product you sell does not and to buy one it cost more than the printer.I returned it.On a positive note the return process was quite easy except for the packaging materials which cost me $15 because I damahed the origional materials opening the shipment. Be aware - cartridge is not included! We purchased this product as a gift. We have never been able to get it to work. It does not recognize ink cartridges as installed when they are. The point of purchase (not Amazon) refuses to take it back because (on their recommendation) we removed the UPC code and sent it in for a mail-in rebate. Back to the point, this machine is utterly useless in the literal sense. It does not function at all, let alone "multi-function." 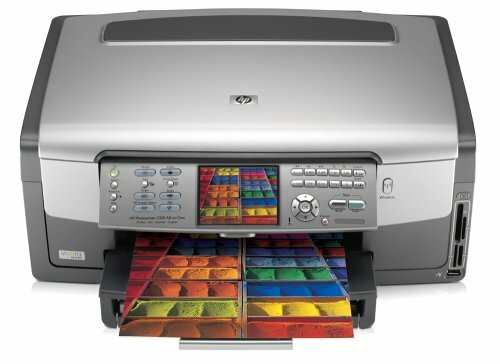 If you do decide to buy this worthless item, be advised that the machine requires individual ink cartridges for black, cyan, magenta and yellow, and it will not print if even ONE of the cartridges is empty. Ah, yes. Very useful. This is one of a series, based on the same print engine.The units range from a simple scanner/printer (this model), to others with fax and even auto collators.So, it's simply a matter of features to base your choice on. This is a product that tries to do too much. On the plus side are the price and the features. 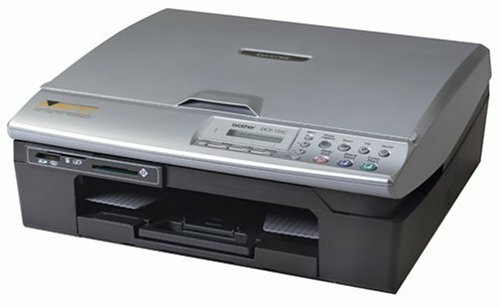 It is a flatbed scanner, printer, and color copier. One major feature is the memory card reader function, it will read secure digital, memory stick/memory stick pro, SSFD, and compact flash. One last feature, and it can be a major one, is the very compact size for such a full featured unit. I'ts not much larger than a typical Lexmark printer. This device might seem older to you than some of the fancier network multifunction printers; but I must say that the drivers are simple and don't take space in your ram.The HP software is enormous and is always wanting you to update it.Sorry too messy for me.Brother is the CHAMPION of the small to large office multifunction printers. For the price these can't be beat. Great Truck Stop Fax Machine! Our HP 4-in-one unit kept jamming and we were losing business.We asked out local computer repairman to replace the HP with a unit that provide better service and he brought us this Brother MFC-8220.What difference!This is a workhorse.The straight paper path is the main benefit as we have had no jams.These truckers bring all kinds of paperwork in to be faxed and this is important to us.